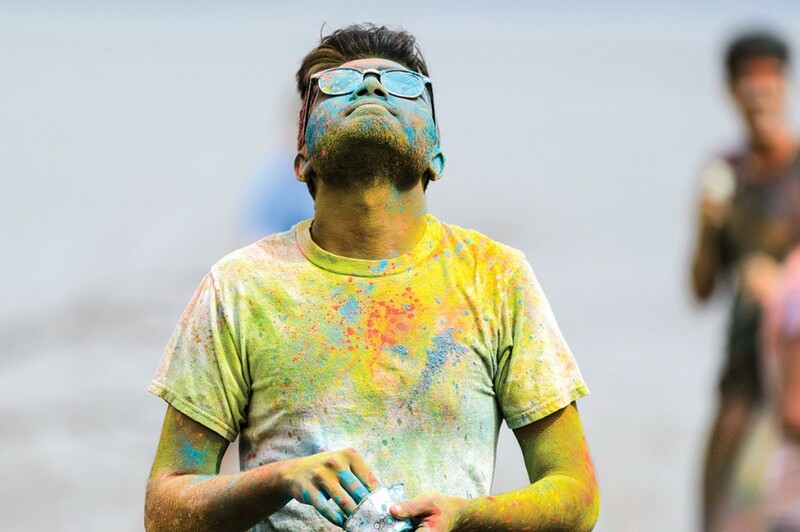 Hundreds of students participated in the spirited Hindu tradition of throwing bright colored powder during Rang de Madison, hosted by the Madison Hindu Students Association in collaboration with UW–Madison’s India Students Association and Indian Graduate Students Association. Holi, celebrated by Hindus around the world, celebrates the arrival of spring and the victory of good over evil. Revelers traditionally fling the bright colored powders at both friends and strangers. 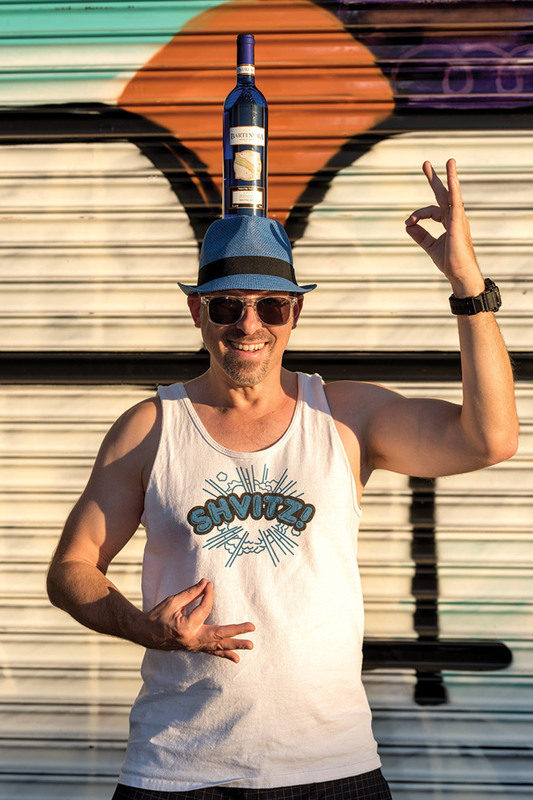 It took Rabbi Daniel Brenner ’92 until now to realize that he just wants to dance. Brenner has spent two decades finding innovative ways to connect young Jewish people with their faith. Newsweek named him one of America’s most influential rabbis for his work at the National Jewish Center for Learning and Leadership, Auburn Theological Seminary, and Birthright Israel Foundation. He currently develops educational programs and trains mentors at Moving Traditions, a Jewish educational organization. Now he’s working on a new idea for connecting kids with their culture. Brenner — also a musician, playwright, and essayist — is leading a one-person revolution to revive nearly forgotten Jewish dances. “I’m pursuing this crazy dream, bringing people together through dance and reclaiming a ritual that’s been lost,” he says. Brenner embraced his time in Madison, studying philosophy, living in a Jewish co-op, playing with his band at the Mifflin Street Block Party, and performing at Ark Improvisational Theater with the late Chris Farley. “I found an incredible Jewish community, as well as people from rural Wisconsin, who were total kindred spirits,” he says. Since earning his master’s degree and rabbinic title, Brenner has focused on talking with adolescents about faith, the art of listening, healthy debate, and pushing back against nonstop sharing on social media. And adults have plenty to learn from adolescents, Brenner insists — including how to embrace, rather than evade, intense emotions. Social media users also reported hearing chants of “Death to Muslims.” And for Kenosha native Naheed Qureshi ’94, a Muslim and diehard Packers fan, the words cut deep. “They were talking to me,” says Qureshi, who was not at the November 15 game. The commentary, however, was clearly audible to millions of fans watching the nationally televised broadcast. The incident was a trenchant reminder of the challenges that Qureshi, the daughter of Pakistani immigrants, faces as deputy director of Oakland, California–based Muslim Advocates. The legal advocacy and educational organization works on the front lines of civil rights to guarantee freedom and justice for Americans of all faiths through high-impact lawsuits, community education, and policy advocacy. Muslim Advocates focuses on ending racial profiling, strengthening the nation’s network of more than 1,300 Muslim charities — including soup kitchens, homeless shelters, and medical clinics — and countering hate. Notably, the nonprofit filed a lawsuit in 2012 — later joined by the Center for Constitutional Rights — against the City of New York, accusing police of spying on Muslims at home, work, school, and at mosques. The case is pending. Qureshi helped found Muslim Advocates in 2005, when she was an organizer for the legislative office of the American Civil Liberties Union in Washington, DC. There, she worked on matters related to racial profiling, voting rights, the Patriot Act, and post-9/11 civil rights violations. Prior to that, Qureshi was recruited — after earning her law degree at Georgetown University — to join the U.S. Department of Justice Civil Rights Division, where she helped shape the Initiative to Combat Post-9/11 Discriminatory Backlash. 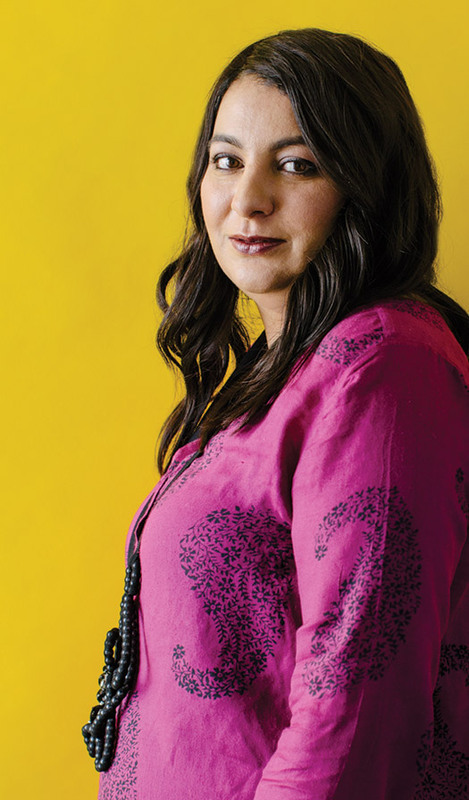 In that role, she organized community forums around the country, fielded discrimination complaints, and was a liaison to Muslim, Arab, and South Asian American communities. The challenges haven’t abated, and Muslim Advocates’ stature in the national zeitgeist has become only more pronounced in recent months. After Paris, and a subsequent attack last December in which an extremist husband-wife tandem killed fourteen public employees in San Bernardino, California, hate crimes against Muslims in the United States more than tripled, according to the Center for the Study of Hate and Extremism in California. There were eighty offenses in the four months following the Paris attacks, ranging from death threats and physical violence, to vandalism and arson attacks on mosques. Fear has gripped Muslim communities, where parents have complained their children have been called “terrorists” or “Osama bin Laden” by classmates, Qureshi says. The same parents have vocally fretted about their children’s college and job prospects. Just as she is now, Qureshi was very much the political operative during her days at the UW. She organized a coalition of disparate student groups that sponsored educational events on the Bosnian War and genocide that was raging half a world away. It’s the same ethos that Qureshi brings to her work today at Muslim Advocates, which involves managing program staff and fostering relationships with other groups fighting to maintain civil rights. Muslim Advocates also has aligned with the NAACP in pushing support for the End Racial Profiling Act. The proposed legislation, which would affect local law-enforcement agencies, has yet to gain traction in Congress. The organizations did, however, help sway the U.S. Justice Department in 2014 to expand rules preventing FBI agents from considering national origin and religion, among other categories, when deciding whether to open a case. Bend the Arc was among nearly fifty civil rights, interfaith, community, and advocacy groups that joined Muslim Advocates last September to urge Republican and Democratic party leadership to hold party members and candidates accountable for promoting religious bigotry. “We have a strong interfaith partnership advocating for the rights of our communities as a whole, and defending each other’s rights when they are attacked,” she says. Qureshi derives many of her sensibilities from her parents. “They told my sister and me that we were Muslims, but that we should cherish and value everyone’s background and faith,” she says. Her mother and father met at the University of Idaho, where both were pursuing their doctorates. They went on to teach biology and chemistry in the nursing program at Gateway Technical College in Kenosha, Wisconsin. She chides a political system in which elected officials and political hopefuls have made anti-Muslim remarks, with no accountability. While Republican presidential candidate Donald Trump has proposed blocking all Muslims from entering the United States, along with shutting down mosques and surveilling Muslims, former candidate Ben Carson asserted the United States should not elect a Muslim president. But, Qureshi notes optimistically, such behaviors have riled non-Muslims as much as members of her own faith. With 9/11 as a catalyst, a campus institute encourages students to let down their guard and talk about religion. We grow up being told that certain topics aren’t considered polite conversation at the dinner table. But each month, a group of UW students gathers to take a calculated risk. They talk about religion. People may avoid discussing religion for fear of offending others or because they are wary of defending their beliefs in the face of skepticism or outright ignorance. But the students involved in these conversations — raised in different faiths, coming from diverse cultures, and following different academic paths — share a hunger for something that has been hard to find on campus: a chance to talk with others their age who also regard their faith as an essential part of who they are. These interfaith discussions are central to the work and mission of the UW’s Lubar Institute for the Study of the Abrahamic Religions, established to promote mutual understanding and civility among Jews, Christians, and Muslims after tensions arose following 9/11. “I have always viewed [the institute] as a safe space to ask the hard questions,” says Laura Partain ’13, a Christian who was an undergraduate fellow with the institute as a sophomore and continued to attend its interfaith forums while studying Arabic, Biblical Hebrew, and Rabbinic Hebrew, and earning a degree in religious studies and a certificate in Middle East studies. The phrase safe space comes up frequently when participants describe these forums. Students demonstrate their methods of prayer, talk about why they wear certain articles of clothing, and even discuss aspects of their religion that they don’t like. Students within the same faith sometimes have fundamental disagreements about controversial issues such as abortion and homosexuality. Much of this year has been a reflection on what it means to be a Catholic living in a religiously diverse world. How does my Catholic identity shape the way I view other religions, and how does that affect my interactions with them? How am I being called to live out my faith in ways that respect others while also presenting my own views boldly? … I now know the importance of bridge-building and actually getting to know other people. I know the importance of friends who challenge my deeply rooted assumptions about my faith and my beliefs. Though I’m still a committed Catholic, I know the importance of interfaith as a vital antidote to the tendency to retreat into what is familiar and comfortable in my own faith. Each year the Lubar Institute accepts eight or nine undergraduate fellows who organize the forums, which draw about two dozen students, and take part in interfaith service projects in the Madison community. They also advise house fellows in campus residence halls about how to talk with students who have questions about faith-related topics such as their roommates’ unfamiliar religious rituals or dress. “These aren’t deep theological questions, but they’re the kinds of personal interactions that occur all the time,” says Charles Cohen, a professor of history and religious studies and the institute’s director. During the past summer, the institute staffed a table alongside other student organizations at SOAR (Student Orientation, Advising, and Registration), and handed out lists of both religious studies courses and the more than two dozen student organizations connected to religion, including the campus chapter of Atheists, Humanists and Agnostics. They also offered M&Ms printed with images of a cross, a star and crescent, and the Star of David. Christianity, Islam, and Judaism share common origins and values, and their histories have been intertwined for thirteen hundred years, but avoiding these connections creates little chance of peace in a world riddled with conflict that often springs from religious differences. But what role can religion play at a public university? Some students of faith describe their UW existence as one of living two lives: their campus life and their religious life. “If you’re not part of a religious community on campus, you will probably never talk about religion, unless it’s to do with politics,” says Stephen Buting x’14, a Catholic who served as an institute fellow last year and sees a future role for himself in the Catholic Church — either as a layperson or in the priesthood. The notion that college students’ faith identities should not be ignored is expressed often by Eboo Patel, the founder and executive director of the Chicago-based Interfaith Youth Core, who spoke on campus last year as part of the UW’s involvement in a White House initiative to foster interfaith dialogue and service at colleges and universities. While there are no data on the faith practices or religious beliefs of UW students, during the last decade, UCLA’s Higher Education Research Institute has explored how students change during the college years and what role college plays in facilitating the development of their spiritual and religious qualities. More than half of the students in the nationwide survey rated integrating spirituality into their lives as very important or essential, a level not seen since the 1950s. Nearly 75 percent said they believed in God, and two-thirds said they prayed. A wonderfully kind Catholic girl named Sonia sat beside me and asked me, with wide and curious eyes, things about what it means to be a Muslim and what I believe. A small moment turned into a friendship for life. A year later, I sat with tears streaming down my face as I watched Sonia walking down the aisle on her wedding day. Another friend that I made that year recently asked me to become some sort of a Muslim godmother in his baby daughter’s life so that, if she ever wondered about Islam, she would have a friend to turn to for questions. During a forum, you are just as likely to hear someone passionately discuss why St. Francis of Assisi is his favorite saint as you are to hear someone else quote a Morgan Freeman line from Evan Almighty, a movie comedy in which he plays God. But the students tackle some tough and tense topics in the forum, too. “The more interesting ones are the ones where people actually get real — where there isn’t just everyone saying, ‘Oh, that’s nice,’ ” Buting says. In recent years, the group watched the movie A Jihad for Love, a controversial documentary about Islam and homosexuality. Another forum held in a previous year discussed the battle over a cartoon of Mohammed that appeared in a Danish newspaper. An agnostic student argued for free speech, while Muslim students “appealed to a sense of sacredness,” Rosenhagen says. The trust among the students solidifies during the forum’s annual weekend of prayer, when the students attend one another’s worship services: a Muslim prayer service on Friday night at a mosque, a Saturday Jewish Shabbat service at a synagogue, and a Sunday morning service at a Christian church. In some cases, students become visibly uncomfortable, but others are struck by the things that seem very familiar in a faith they had perceived as very different from their own. Manneh, the Gambia native, started attending the forums during his sophomore year after two friends from the Muslim Students Association invited him to attend a Catholic Mass with them. He was hooked and was accepted as a fellow during his junior year. He graduated in May with degrees in history and political science and is making plans to study African history in graduate school, but he hopes to start a similar forum for children in his country, where there is a Muslim majority and a Christian minority. My rabbi emphasizes the importance of growth … whether it occurs in one’s own faith, in regard to one’s relationships with others, or just in one’s general progress in life, growth is key to maintaining a fulfilling life. As I look back to September 2012, I remember walking into the first [forum] with high expectations and even higher nerves. Compared to where I am now, it is almost comical to remember how nervous I was to discuss interfaith issues. … I was constantly engaged, challenged, and forced to reconsider my views on religion and the world. Unlike any other student organization I am involved with, the Lubar Institute has forced me to think globally. At the UW, the monthly discussions give students the opportunity to explore more of those connections — and where they diverge. a center focused on Judaism and environmentalism. There, Lerman connected her Jewish faith with those concerns, living in a tent and working on an organic farm to grow the food she needed. “It’s consciously thinking about what we really need to live,” she said. The sessions are what alumni Sheldon ’51, LLB ’53 and Marianne x’55 Lubar had in mind when they established the institute to promote mutual understanding and civility among Christians, Jews, and Muslims. Although the student fellows do not receive academic credit for their participation, at the end of their yearlong experience, they give credit — by writing reflections (see sidebars) about how the forums helped them learn about their own beliefs and those of others, and how they’ve grown as people and critical thinkers. Jenny Price ’96 is senior writer for On Wisconsin.